Amazon has announced a new licensing deal with Viacom that will add around 2,000 titles to the catalog currently offered under its Prime Instant Video streaming service. According to the press release, the new selection will include shows from MTV, Comedy Central, Nickelodeon, TV Land, Spike, VH1, BET, CMT and Logo. The move brings Amazon's subscription video service closer to parity with competitors Netflix and Hulu Plus, both of which have agreements with Viacom. The company has been building up its streaming video library in recent months, inking deals with the likes of PBS, CBS, Fox, NBCUniversal, Sony, Warner Bros. and Twentieth Century Fox, among others. 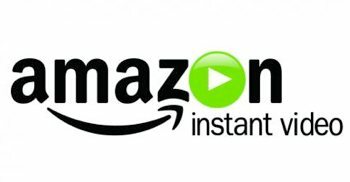 Amazon's Instant Video service is available to customers who pay for the company's $79-per-year Prime membership, which also offers free two-day shipping on items purchased through Amazon's retail business. Although that works out to less than $7 per month and is already competitive with rival streaming services, there have been reports that Amazon is on the verge of launching a non-Prime, standalone video streaming service to boost its Kindle Fire tablet and directly compete with Netflix. In a recent letter to shareholders, Netflix CEO Reed Hastings and CFO David Wells said they wouldn't be surprised if Amazon decided to go that route, but boasted that Hulu and Amazon have a fraction of the content Netflix offers and their total viewing hours are each less than 10% of Netflix's. The executives also touted their service's upcoming original programming: Lilyhammer, House of Cards, and an Arrested Development reboot.